Let an accomplished teacher guide you past the challenges and pitfalls of meditation. Practice each of the six guided meditation practices as a way to cultivate stillness and "knowing"
As anyone who has tried it knows, meditation looks simple, but at times it can be difficult. The most potential you can have on your contemplative path is a trusted teacher like Jack Kornfield, who stands out as one of the most helpful and encouraging Western instructors for newcomers to the art of meditation. With Guided Meditation, this renowned Buddhist teacher brings you six practices that will open the door to the serenity and joy of meditation, and serve as your foundation for years to come. Since the time of the Buddha, meditation taught under the guidance of an expert has proven to be the easiest and most effective way to begin. 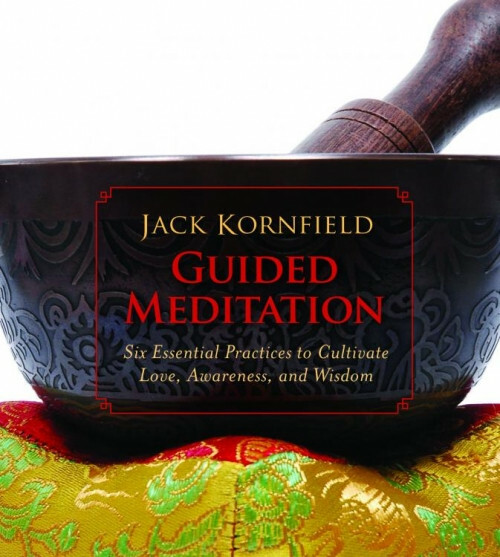 Whether you are just starting out with meditation or have decided to reconnect with the ground of your practice, Jack Kornfield's Guided Meditation provides concise and gentle training of the heart and mind to enjoy the fruits of this centuries-old art.